Anand Chandrasekher, Senior Vice President and General Manager of Intel’s Ultra Mobility Group, said during his keynote that Moorestown is on track for release in the 2009-to-2010 timeframe. 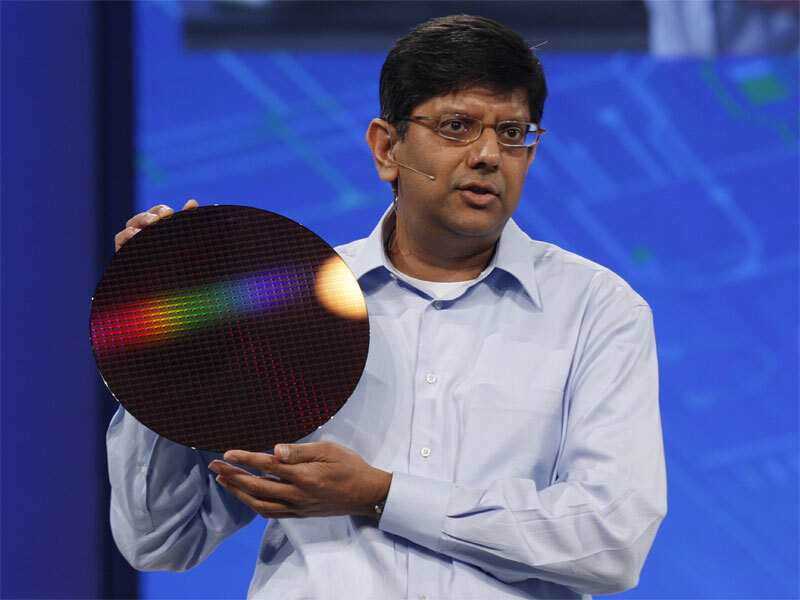 To reinforce this point, Chandrasekher held up the first Moorestown wafer and announced that the first silicon was back from the fab. 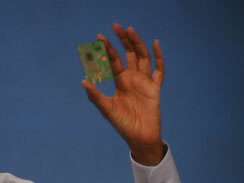 He then said that Moorestown would enable Intel to target the mobile communications market with MIDs designed to deliver a rich Internet experience on a device no bigger than a typical smartphone. Like the current Menlow platform, Moorestown is also based on a 45nm manufacturing process, but Intel has worked hard to reduce idle power consumption by a factor of ten in order to target the much smaller form factors that make up the smartphone market. 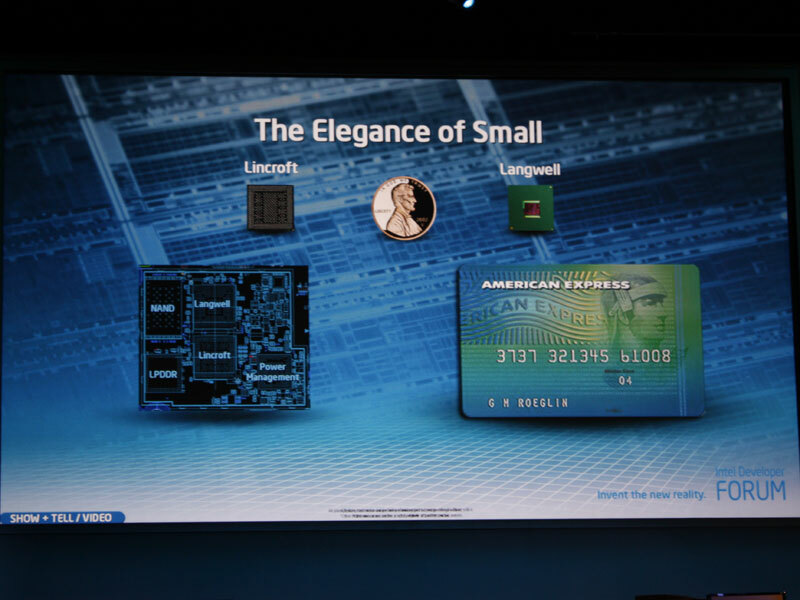 The two chips that make up the next-generation MID platform are Lincroft and Langwell—both of which are less than the size of a penny—will sit on a PCB that’s smaller than a credit card. Chandrasekher held up a Moorestown reference PCB to confirm its size – it looks like we’ll start seeing much more interesting MIDs in the 2009/2010 timeframe. Are you excited by the potential that Moorestown could offer MID and smartphone manufacturers? Tell us in the forums. Intel announces two new Z-series Atom CPUs at IDF in Beijing, including the 2GHz Z550 with Hyperthreading and the new Z515.